Who’s ready for Spring? It’s a time when nature can help undo some of the damage that bad weather, low-quality forage, and less than perfect management techniques that may have inflicted on your herd. 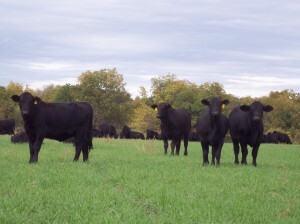 When preparing cows for calving and reproduction, there are clear benefits from utilizing as many of those spring grass nutrients as possible. The most important is to increase body condition especially in those that have become thin due to winter. Rotational grazing is one method that helps us take advantage of the nutrients in spring grasses. Minerals are incredibly important. According to Perry, “Approximately 40% of cows in the United States do not get the supplementation they need.” Minerals are key to a cow’s production, both in terms of feed efficiency and milk production. When cows receive adequate minerals, both their rumen and reproduction all improve. Purina Animal Nutrition offers more than 100 different formulations of minerals that target different seasons, forages, pasture types, and weather patterns. Purina’s Wind & Rain Storm Minerals have been specially formulated for consistent, predictable intake and also resist loss due to those forces. Talk to us all the mineral supplement options available to you and how we can help you choose the mineral program that’s right for your operation at any given time of year! This entry was posted on Monday, April 1st, 2019 at 1:30 pm	and is filed under News & Updates. You can follow any responses to this entry through the RSS 2.0 feed. Both comments and pings are currently closed.